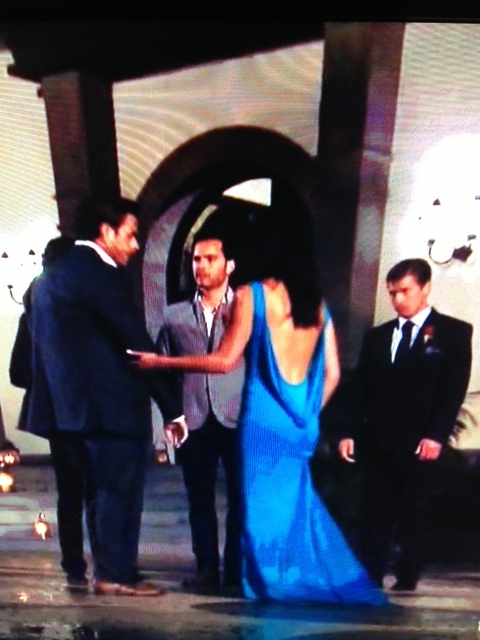 The Bachelor 2.11.13 – she-who-must-not-be-named. The girls are in St. Croix. Now THIS seems much more typical bachelor speed. Don’t read any further if you don’t want to know who hits the bricks tonight. It pains me to write this somewhat, because it requires talking about Tierra, and I don’t like rewarding bad behavior. Within the first five minutes, she’s dragging a collapsible bed into another room so she doesn’t have to share a room with any of the girls. Then she calls AshLee a cougar. Um, sorry Tierra, but there is NOTHING wrong with being 32. I find 32 year olds to be quite lovely. Desiree looks like Katie Holmes, does anyone else think so? Anyway, AshLee tells Sean the truth about Tierra, and he says he believes her…we’ll see, dishing the dirt is usually a one way ticket home. Oooh…AshLee has a dark secret. She’s divorced? Has a kiddo? Used to be a man (if so, NICE work!)? Yep, divorce – she got married when she was 17. Sean: “So you were a married high-school junior? That’s…young.” AHHH Sean still likes her! He thinks he’s perfect! Heart. And, she is the first one to drop the L-bomb! Wow, girlfriend is hooked. Tierra really wanted a 1 on 1, but instead of being excited, she is complaining about her makeup running or something. Okay, she is doing this on purpose. No one is truly this irritating. Did you know her eyebrow has a twitter? Someone out there has a sense of humor. I bet it’s Leslie. I have to go on a bit of a rant here. The mean girls have been the rulers of The Bachelor lately – Vienna won, Courtney won, and it looks like Tierra is doing pretty well. With the exception of Courtney, they aren’t better looking than their competition, so I know it’s not something simple as the dudes are blinded by their beauty. What is it? And didn’t Sean learn from Ben/learned from Jake? If all the girls in the house don’t like one girl, RED FLAG. If the girl says other girls are jealous of her, RED FLAG. If they don’t have female friends, RED FLAG. It means they’re cray-cray! (Learn from Kristen Wiig: “And all her friends are dudes” http://www.hulu.com/watch/282330). Okay – anyway…Tierra told Sean some BS, he believed it, we’re back to where we were before his conversation with AshLee. Sean just showed up at the house at 442am to surprise the girls. He has a camera. “I hope none of them hit me” – at least he knew what he was in for! I wonder what time they went to bed? Sean’s dates are nuts, but I love that he’s out of the box…and being the first people in America to see the sunrise (they’re on the east side of the island) is pretty cute. And now they travel west, where they will watch the sunset. This date is awesome, all three girls are awesome (Catherine, Desiree, Lindsey) – nice work Sean. Who would have guessed the wedding dress girl would make it this far?! Beach chats are getting real emotional…sleep deprivation does that to you. Wedding dress girl gets the rose! Leslie and Sean date – EEEEEEEEE! If I haven’t said so already, I heart Leslie! Oooh…Sean is talking to his sister about Tierra, AshLee is talking to Tierra about Tierra. “GIRLS ARE JEALOUS!” Tierra just said it! CRAY-CRAY! AshLee just asked “what can we do to roll tape,” because Tierra told her everyone in the house has talked about her, then turned around and said she didn’t say that. I love it when they acknowledge that they are on a TV show, it happens so rarely (usually “this journey” or something cheesy like that). They’re talking about the eyebrow…this is too much. Tierra doesn’t smile because her face is tired. Sean is coming…they’re still fighting…here he is…he finds her crying. Figures. I thought dudes didn’t like needy girls, why is he eating it up? Sean’s sister told him if a girl can’t get along with other girls, that’s a problem…and he listened. Awesome! 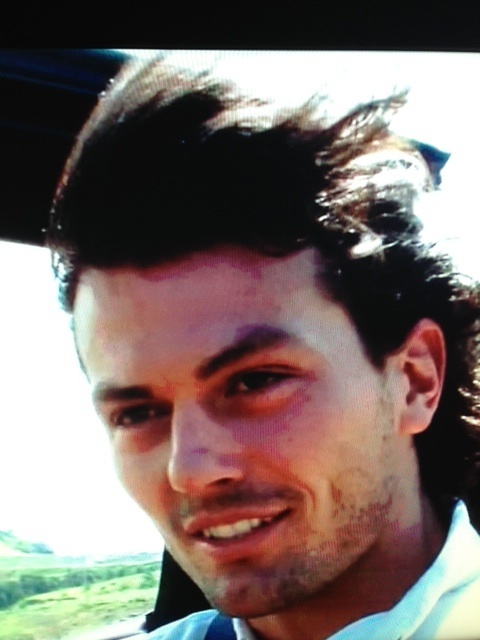 I wish my bro would go on the bachelor so I could be a guest (come on Jeff, what do you say???). HE TOLD HER TO GO HOME! Sean, I tip my hat to you. I thought he was going to be a snoozer of a bachelor, but he’s actually been pretty entertaining…and he is smarter than the last few. I wonder if she’ll show back up later though? If not, I highly doubt she’ll show for ATFR. Much like the woman on Travis’ season (I think?) who talked about her eggs rotting. No cocktail party? I’d be pissed. And on to the rose ceremony! Lindsey’s already got a rose. Des has a rose. Catherine has a rose. 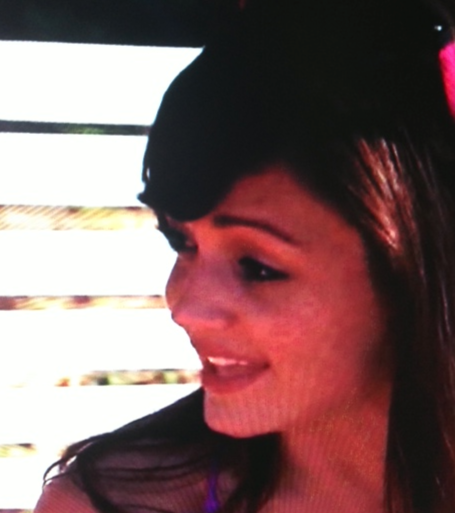 Leslie or AshLee…(the music is very dramatic)…NO! NO! Leslie doesn’t get a rose, are you kidding? She was so awesome. And I thought AshLee was doomed…WTF do I know. I need another glass of wine. So does Catherine – she said if he doesn’t want Leslie, why is she (Catherine) here…what a strange reaction. SCENES. FROM. NEXT. WEEK. LOOK. AWESOME. Favorite moment right from the start – when Chris announces the ladies are going to meet Sean in…Montana. I haven’t been to Montana, I’ve heard it’s awesome (from what they’ve shown on tonight’s episode, it is), but I can’t help but believe those chicks were expecting “Italy” or “Tahiti” to come out of Chris’ mouth. They acted super excited, which made me laugh and almost lead to a very unfortunate treadmill incident. Well played ladies, well played. Pretty sure I went to elementary school with the girl who was just singing on Sean and the girl who wore the wedding dress’ date. Weird. So far my favorites are Leslie and Desiree, and I’m kind of digging Selma (maybe mostly because her name is Selma) – although I have a sneaking suspicion she is campaigning for next bachelorette. Which would be interesting, since she won’t kiss anyone. She’s got character and she’s a hottie – I’d watch. Poor goats, to have a bunch of people who don’t know what they’re doing tugging on them. Not a fan of that part 😦 The blue team loses and has to go home. But later on…the blue team is invited to the party!! YAY!! The red team is going to be PISSED. Tierra…this girl acts like she’s never seen the show before. Sean knows she’s being patient. Things aren’t fair for her. She feels like she’s being mislead. YOU’RE ON A TV SHOW COMPETING WITH 25 WOMEN FOR ONE MAN. She’s trying to be the villain, and she’s not even doing a good job – Courtney and Vienna could teach her a thing or two. OMG…she is not sneaking up on Sean. Stop. NEEDY. Now the 2 on 1 is a slap in the face? Twenty minutes ago she was pumped to have it! If she wins I’m done with this show. NO I DON’T MEAN IT! I’m sorry Bachelor, I take it back, I will never say it again. Are we okay? I also like AshLee. I’m going to start going by KathLeen. Sean is crazy about her. Unfortunately, he is crazy about a lot of gals. Oh no. Catherine’s got game and Daniella is crying. Do tears = rose?? Yes. Cheap! There was a 2 on 1 date, Jackie went home, I can’t talk about it. Desiree feels like he gives roses to the girls who are having trouble. Desiree is on to something. Robyn tries to give it to Crown straight…she’s not worried, there are plenty of guys she can get engaged to. Sean is going to get to the bottom of it, so he asks Leslie what’s going on with the girls. Heart. 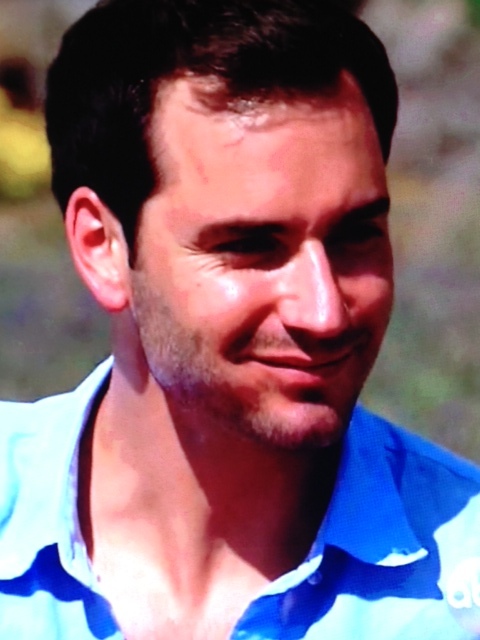 He wants some dirt – hey Sean, guess you should have kept that crazy Kacie around! OMG OMG, rose ceremony…and so long Robyn. Less than 24 hours till the next episode!